Just arrived and WOW, these are going to be a great line. A BIG cylinder bottle of vibrant metallic mud slime. Beautiful looking and will work great as a bigger prize every time win or charity/school fundraising fete/tombola prize. 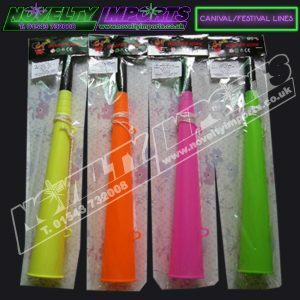 Also ideal for gift shops and market trader lines, these really are BIG impressive tubes. Comes in colourful counter top display boxes. 24/pc in total. GET THEM FAST……. So on topic with the latest unicorn craze. This item will delight all. Approx 13.5cm high by 4cm tap the sealed cap of this unicorn horn and watch the slime light up and flash in multiple colours. 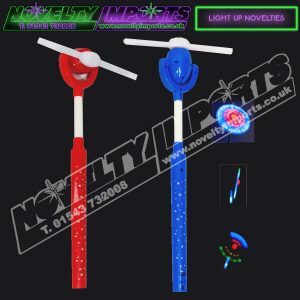 Ideal for pocket money toy sales, prize everytime win for school and charity events, also a BIG seller for seaside and gift shops. Four great mixed colours in each box 12/pc display box and 96/pc to a full carton. A timeless classic with an up to date very popular unicorn theme. A favourite prize every time win, party bag novelty or pocket money and stress toy. The unicorn wiggly water snake has a slippery feel when you try to hold them, feel them wriggle out of your hands. In unicorn print mixed colours of pink,blue & purple and filled with sparkle water. Hours of fun. Approx 11.5 x 4 cm in size. 1/pc bag 12/pc display box and 72/pc to a full carton. WOW this item will be HUGE! AMAZING VALUE AT ONLY 20p. Tubs of mixed coloured barrel slime. Bang on topic with nothing more popular at the moment than slime. This is a great item for smaller prize every time wins, gift/holiday shop counter toys and school/charity fundraising events. Safe tested non toxic for ages 5+ LTD stock so get it FAST… 24/pc counter top coloured display box. WOW this item will be HUGE! AMAZING VALUE AT ONLY 70p. A bottle of colourful unicorn slime poo. Bang on topic with the unicorn theme and nothing more popular at the moment than slime. This is a great item for prize every time wins, gift/holiday shop counter toys and school/charity fundraising events. Safe tested non toxic for ages 5+ LTD stock so get it FAST… 12/pc counter top coloured display box x 2 TOTAL 24 bottles. WOW this item will be HUGE! AMAZING VALUE AT ONLY 70p. A bottle of brown Emoji slime poo. Bang on topic with the Emoji theme and nothing more popular at the moment than slime. This is a great item for prize every time wins, gift/holiday shop counter toys and school/charity fundraising events. Safe tested non toxic for ages 5+ LTD stock so get it FAST… 12/pc counter top coloured display box x 2 TOTAL 24 bottles. Surpize capsule balls are a massive popular line. This item would be great for fete and raffle prizes and prize every time school and fundraising wins. 12 assorted mini vinyl unicorn/ponis to collect each item comes in these colourful capsule egg balls. 24/pc colour counter display unit. Surpize capsule balls are a massive popular line. This item would be great for fete and raffle prizes and prize every time school and fundraising wins. 12 assorted constructeez robots/vehicles to collect each item comes in these colourful capsule egg balls. 24/pc colour counter display unit. Combining the latest trends of zobie horror and slime, we present to you the zombie horror hand slime tubs. kids will love these. Safe non toxic tested slime in a tub with a plastic zombie horror hand inside each tub. Great for prize everytime wins carnival/fete and school PTA gifts and prizes. 12/pc colour counter display box and 2 x display boxes (24/pc) included. Will sell out FAST! Never going to go out of fashion. A retro toy that still delights with fun and achievement but with a new updated current theme. These 55mm colourfull classic cubes now with magical unicorn designs. Great for prize every time wins and fundraising toy gifts. 1 x 24/pc display box total 24/pc. These look fantastic, bounce them and watch the baby alien flash in the ball. Kids and adults will have hours of fun. 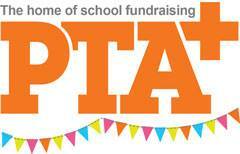 Great for school/chrity fundraising events, prize everytime wins and gift shop merchandise and from only £1 each. 12/pc colour counter display box and 96/pc to a full carton. Do not confuse this with our competitors smaller 40g tubs, these are the BIG 125g tubs of all new unicorn glitter poo putty. Disgusting but kids can’t get enough of this slime craze and this is so on topic with magical unicorn colours. 12/pc colour counter display boxes and 192/pc to this full carton. VERY LTD STOCK! Do not confuse this with our competitors smaller 40g tubs, these are the BIG 125g tubs of all new unicorn glitter poo putty. Disgusting but kids can’t get enough of this slime craze and this is so on topic with magical unicorn colours. 24/pc colour counter display box. VERY LTD STOCK! Finally we have stock! This item is so HOT the biggest craze of 2018? Kids and adults alike will be amazed at this flowwing metal spring, great stress relief and very hard to put down. GET THEM FAST…. 24/pc inner. All the rage and we know this will not last very long! 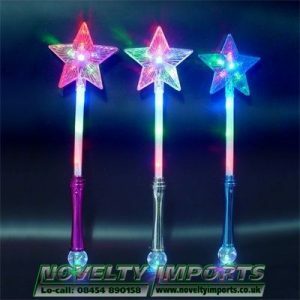 Ideal for school charity fundraising events and summer fates, and of course gift shop and market trader lines. You can make it mold it and bounce it just add water to the pot all ingredients included. Non toxic tested slime will be very popular. 6 assorted colours to collect. 12/pc counter top display box and 144/pc to a full carton. All the latest craze and these are BRAND NEW! Get them fast LTD stock. Just like the squishy squeeze brain ball these 8cm spiders will ooze with squshy beads as you squeeze them. Very hard to put down and loved by kids and BIG kids alike! Great stress relief and will delight as a prize every time charity/school prize also great market trader and gift shop line. 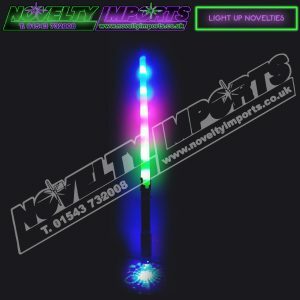 Come in 6 random colours 24/pc in a colour display box. WOW We can’t put these down! The kids can’t get enough of them, very strange to describe but this banana stretches so long and squeezes back in to shape, feels like it has a moist sand type substance inside it. Great for prize every time wins on school and charity fundraising events, also a great stress relief item. Give them something they will remember! Very LTD stock. 24/pc display box. DISGUSTING! Yes we know 🙂 but kids can’t get enough of them, very strange to describe but this poop stretches so long and squeezes back in to shape, feels like it has a moist sand type substance inside it. Great for prize every time wins on school and charity fundraising events, also a great stress relief item. Give them something they will remember! Very LTD stock. 24/pc display box. All the latest craze, kids love these and aduls can’t put them down and great value/ Destress by squeezing this squishy ball and watch the beads bust through the meshing. Approx 6cm in size in mixed colours (colours may vary depending on suppliers) 12/pc counter display box and 144/pc to this full carton. LTD stock will sell fast! All the latest craze, kids love these and aduls can’t put them down. Destress by squeezing this squishy ball and watch the beads bust through the meshing. Approx 6cm in size in mixed colours (colours may vary depending on suppliers) 12/pc counter display box x 2 = 24/pc LTD stock will sell fast! How horrible? Yes we know but kids just LOVE EM. So popular and on theme these zombie eye splat ball will delight children and big kids alike, throw they on a flat surfice and watch them almost plat before regaining shape. Very addictive and hard to put down. A superb prize every time win for stalls or school/charity lucky dip gifts. 3 different designs and 12/pc display box with 144/pc in this full carton. Will sell out fast…. How horrible? Yes we know but kids just LOVE EM. So popular and on theme these zombie eye splat ball will delight children and big kids alike, throw they on a flat surfice and watch them almost plat before regaining shape. Very addictive and hard to put down. A superb prize every time win for stalls or school/charity lucky dip gifts. 3 different designs and 24/pc display box. Will sell out fast…. ** THE LATEST CRAZE ONLY £1 ** Get them while they are HOT! A good mixed selection ranging in size from 5-11cm in counter top display box and individual plastic boxes some on key chains. Suitable for ages 8+ they are a massive line. We have LTD stock on these and will sell out fast! 24/pc counter display boxes. All the latest craze. Kids go mad for this slime putty in a tub that looks like an egg. Very LTD stock and will sell out fast! 12/pc counter display box and 144/pc to this full carton. All the latest craze. Kids go mad for this slime noise putty in a tub with a galaxy space theme. Very LTD stock and will sell out fast! 12/pc counter display box and 120/pc to this full carton. Kids love these. Watch the expression on the faces when they see a dinosaur hatch from the egg. Made from EVA & plastic to strict safety standards. Just put the egg in a jug and cover completely in water (not hot) after 12-24 hours the egg will start to crack and produce a baby dinosaur that will continue to grow AMAZING! LTD stock and expected to sell out FAST! 12/pc counter display box and 144/pc to this full carton. Never going to go out of fashion. A retro toy that still delights with fun and achievement but with a new updated current theme. These 55mm colourfull classic cubes now with emotion style faces come in a 12/pc counter display box. Great for prize every time wins and fundraising toy gifts. 2 x 12/pc display box total 24/pc. Never going to go out of fashion. A retro toy that still delights with fun and achievement. These 55mm colourfull classic cubes come in a 12/pc counter display box. Great for prize every time wins and fundraising toy gifts. 2 x 12/pc display box total 24/pc.